A quick and tasty appetizer. It is good with chips or crackers but fritos tend to hold up the best since they are extra thick. If you would like it to be heavy on the corn, go ahead and add a second can. Many thanks to Sweet Little Bluebird for the original recipe which I adapted slightly. 1. Mix all of the ingredients together. Chill in fridge for several hours. Serve with tortilla chips, crackers or Fritos. Adapted from Sweet Little Bluebird. Sounds delicious! Can't wait to try it. 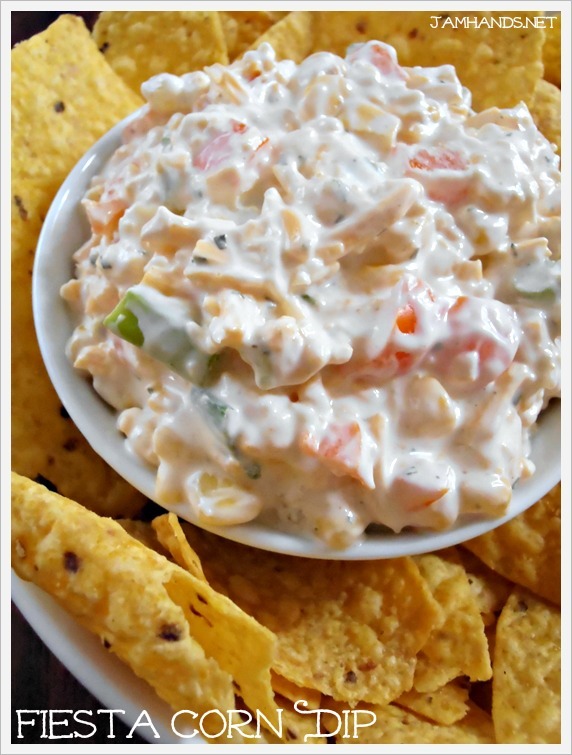 This sounds like a great game day dip! Thanks again for sharing at Simple Supper Tuesday. Looks really good. It's hard for me to resist green onion. Thank you for sharing! 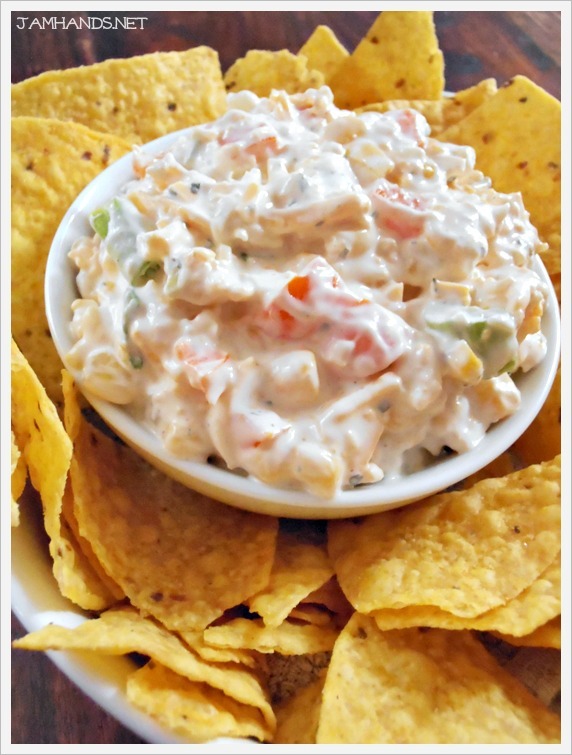 Ali, this is a great dip to have on hand for the upcoming bowl parties. Your Fiesta Corn Dip will sure be on our snack table. Thanks so much for sharing with Full Plate Thursday and have a great weekend! Sounds perfect for the big game!! Thanks for sharing at the weekend Re-treat hope to see you again this weekend!